also present in sand dunes, the natural source of silicon. Two options of font treatment: A.
Personalized Helvetica: Denotes design and functionality. B: Signika: Organic & Friendly vibe. 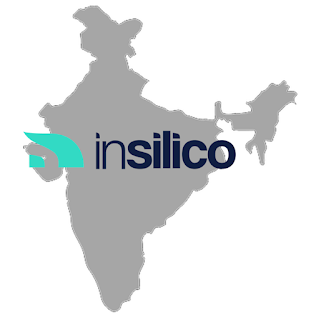 I'd like to talk about our industry, the semiconductor industry in Bangalore, and especially our company Insilico. When it comes to the overall multi-ethnicity and cosmopolitanism nature of the entire IT industry, of which we're a part, there's nothing astounding about our particular industry, nevertheless, it does represent the very essence of what a hi-tech industry should be. I personally feel that one of the reasons why our industry, no doubt one of the most hi-tech ones in the world - we design the electronic chips that go into the latest phones, tablets and other sophisticated electronic gadgets -, has attained its present stature is its perfectly cosmopolitan nature. 1.Tell us about the points that you would like us to highlight regarding your Electronic Design Services. a.It’s not what we do – it’s how we do. There are many design service providers, but we are the only one whose vision is to “be the most Valued Partner for Socially, Financially and Environmentally inclusive complete VLSI & Embedded solutions across the world, in established and emerging markets alike.” We want to be the partners, not vendors, to our clients. And we envision to create solutions for our clients which would be “Socially, Financially and Environmentally inclusive”, thus instilling a sense of meaningfulness and pride among our employees and clients alike that we all are associated with something that would add value to the society.